Irakly Okruashvili: an absentee member of parliament? He is a wanted man and he wants to run for parliament! On RT’s Spotlight, Al Gurnov meets Irakly Okruashvili. The former Defense Minister and opposition leader is currently on the run from his own country, but we tracked him down in France, where he is seeking asylum. 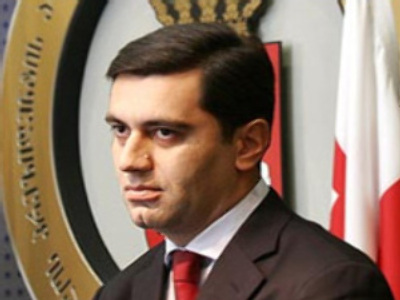 Last September, Okruashvili was arrested in Tbilisi on corruption charges after he accused the Georgian President, Mikhail Saakashvili of plotting political assassinations. He later withdrew his allegations, and was released on bail. Do his accusations of Saakashvili have any substance? Why did he withdraw his charges? Who paid the $US 6 million bail to set him free? How does he intend to be involved in Georgian politics, while 3.000 miles away from the country? And finally, does he think the authorities will try to stop him cold on his way to parliament? Georgia’s rebel minister will be a guest on RT’s Spotlight programme very soon. You can submit your questions to him via our feedback form.